This photo holds no significance as far as interior design I just like it. 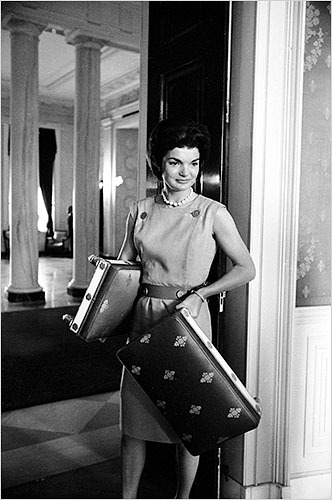 Jackie and I have many things in common, among them our love for French style. Obviously the Nixons. 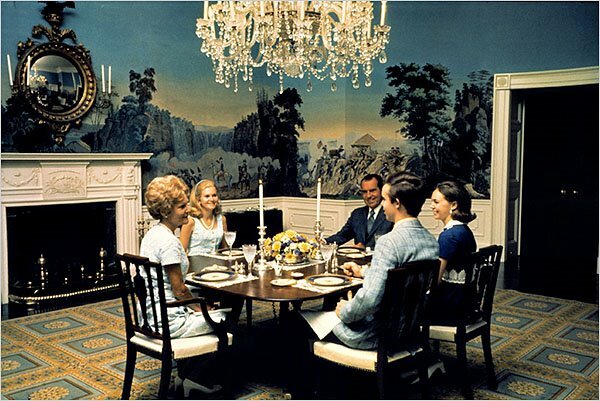 Look at that elaborate wall paper. 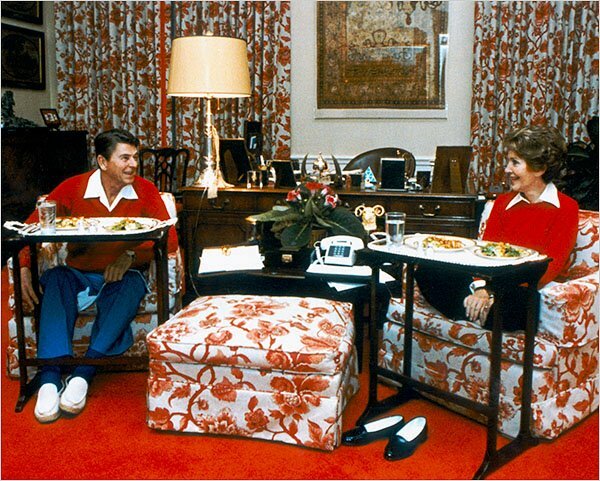 Those Reagans love their red. This photo looks like it could have been taken in any home in America. These images go along with this story in the New York Times.